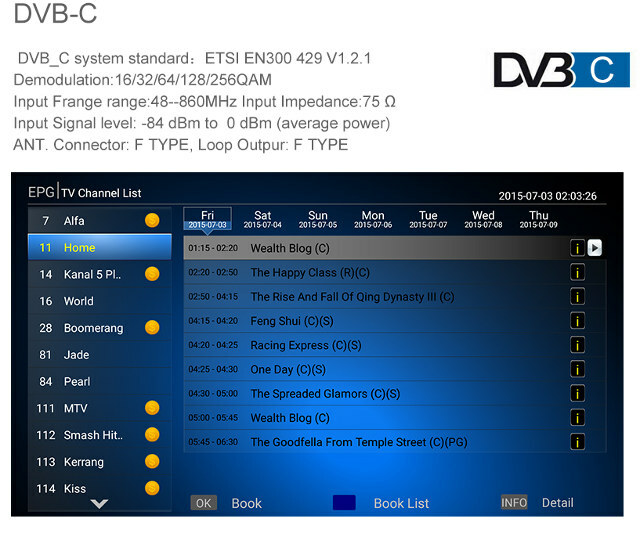 VideoStrong K1 Plus T2/S2 is an Android 5.1 set-top-box with DVB-S/S2 and DVB-T/T2 tuner that was launched roughly two years ago with Amlogic S905 quad core processor. Since then, the company has now launched variant of the model with Amlogic S912 (e.g. 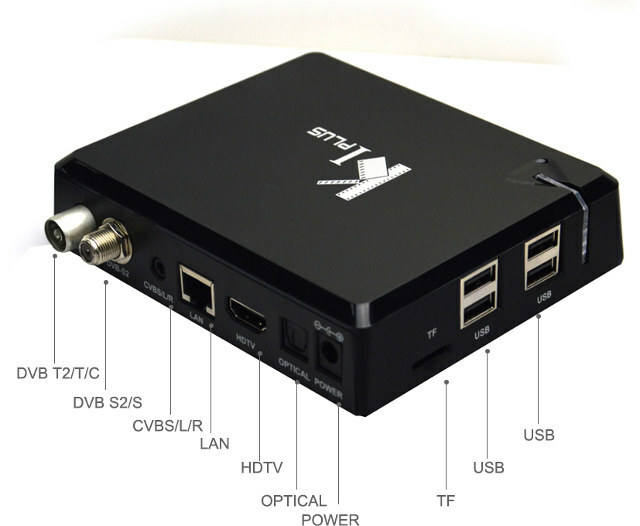 KIII Pro hybrid TV box) or Amlogic S905D (e.g. KI Pro set-top box) processors. But now, provided the information on Alibaba is correct, the company has launched a new version of KI Plus T2/S2 with Amlogic S805X which should be cheaper, run a more recent Android 7.1 operating system, at the cost of losing support for 4K decoding, since the processor only support Full HD (1080p60) decoding at most. Back in 2016, the firmware would only support DVB-T/T2 or DVB-S/S2, but AFAIK, the company has updated the firmware in all there models to also support DVB-C (cable TV). The new K1 Plus S805X TV box appears to only be offered to distributors for now, and information about the retail price is not available. For reference, the FOB price listed on Alibaba is $28 to $40 per unit (depending on quantity).